Boost office productivity and reign in IT costs. Native Network offers Office 365, an affordable, advanced cloud-based platform, that allows your team to efficiently collaborate, communicate, and deliver business goals — from any location or device. 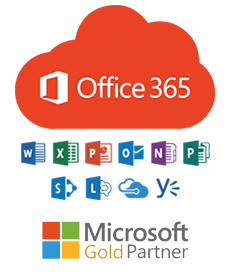 Aside from the benefits of cloud-based access, subscribing to an Office 365 plan is much more cost-effective than licensing conventional software. And with our hosted email solution, Exchange Online, your employees will experience all the functionality of a top-tier Exchange Server. The only difference is that Exchange Online eliminates the need for any new hardware or software in your office. Exchange Online by Native Network guarantees a substantial reduction in internal email management and capital expenses. It's reliable, safe, and allows you to retain complete control of your communication infrastructure.